Canada – Known as the birthplace of Manitoba, Upper Fort Garry in Winnipeg is a significant site in Canadian history. 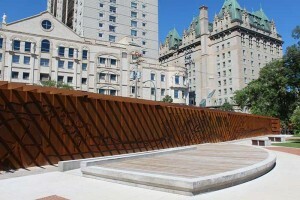 Although the original fort was largely demolished in the 1880s, its remaining Governor’s Gate and an area of surrounding land was gifted to the city by the Hudson Bay Company “as a public park forever.” Overshadowed by surrounding buildings and nearly forgotten, recent development pressures rekindled interest in the site and led to the inspired vision of a $19 million heritage park and interpretive centre for Upper Fort Garry. 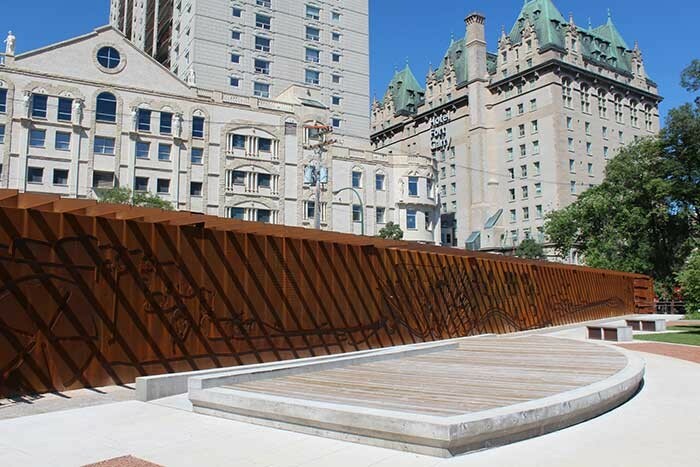 A 400-foot commemorative wall of naturally rusting Corten steel has been built, with integrated LED lighting by Daktronics and sound by Inland Audio Visual. 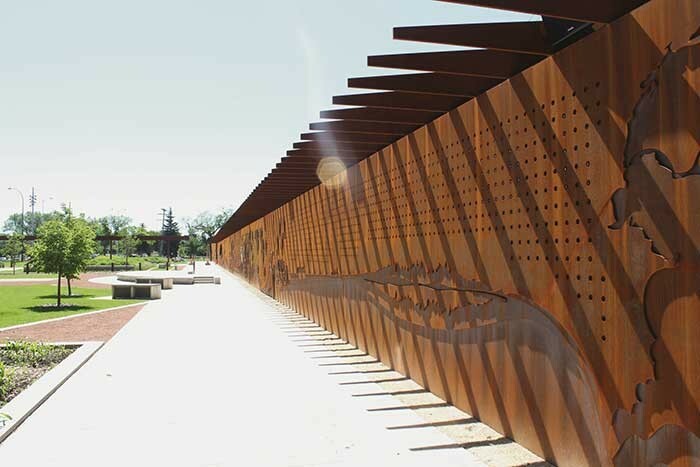 Marking the height, depth and location of Upper Fort Garry’s original west wall, its sculptured layers scribe three continuous lines tracing the history of Western Canada and of Upper Fort Garry. Source for the system comes from separate audio and video servers, with 18 channels of audio content produced and pre-loaded to be used as required. Both servers then respond to a Medialon show control system, which schedules, runs and synchronises the entire show. 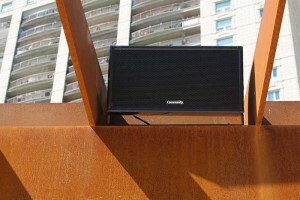 The system amplifiers and DSP are Electro-Voice and the total available audio power is 16 kilowatts. Audio transmission is entirely digital and carried over Dante. More than 30 icons are artistically woven into the history timeline on the wall and an accompanying app has been produced for visitors to learn more about the fort before they enjoy the sound and light show, which runs hourly and is proving to be a popular attraction for Winnipeg’s residents and tourists.